With roles in ‘Rogue One,’ ‘Ready Player One,’ and an Emmy win for ‘Bloodline,’ Ben Mendelsohn has become one of the most sought-after stars in Hollywood. But the actor says he spent years languishing in obscurity – and considering walking away from acting – following a period of success as a leading man in his twenties. Larry King: Do you get better roles as you get older? Larry King: How do you account for that? Ben Mendelsohn: Luck. And hopefully not dropping the ball when an opportunity is given. I spend an enormous amount of time not doing really much of anything. Larry King: You were a star early, right? Ben Mendelsohn: Yeah I was a star at around about, you know in Australian terms, from about 17 I suppose, into my early 20s. Larry King: You were a leading man? Ben Mendelsohn: Yeah, yeah. The aforementioned wide doe eyed love-seeking lad. And then, you know these things run their course, and then you know in my 30s it was a lot of really dry years. And I had some good jobs and stuff like that. But since “Animal Kingdom,” really without “Animal Kingdom” it’s hard to see any of the rest happening at all. Larry King: Was it hard to be a star early and then have that drop off? Ben Mendelsohn: Oh yeah, look it’s never, I mean – Basically I had thought by the time I’m in my mid-30s I thought ‘this is – well clearly it’s all over. And I’m gonna have to look at what I might do from now on.’ It’s always irksome I think, when you feel like you have the ability to do the job but it’s just not happening. Larry King: So how’d you get the “Animal Kingdom” part? Ben Mendelsohn: That was David. David has asked me to do that as well. I’ve been very, very lucky with the right people asking me to do the right things. Larry King: That plays a big part in life. Ben Mendelsohn: Oh it’s a huge part in life. Larry King: You’ve got the talent to take advantage of it. 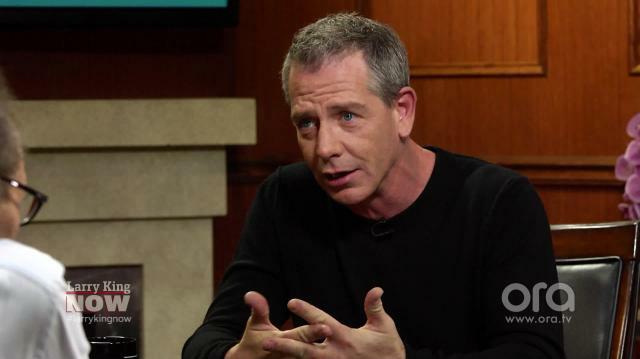 Ben Mendelsohn: You gotta turn up, you gotta do it. You can’t drop the ball, but luck is pivotal.